I made another sale this month, and this one stuck! 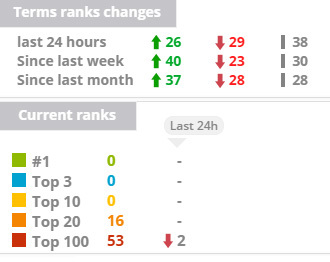 As for rankings, as expected, not much movement, all the big keywords are now top 2nd page pushing hard, waiting to be set free when the sandbox ends. I’m honestly hoping for instant top 5 rankings once it happens. I’ve gone in and noted down a few dates when important pages were first indexed. The first pages were actually indexed on Nov 29th 2016, so the 6-month mark for those was 2 days ago, and nothing happened. On the other hand, Google Search Console says the first pages were indexed on Dec 18th, so I’ll go with that, which means by the end of June, I should be out of the sandbox (if it’s a 6 month one). Re work done, I added 3 super HQ niche links, also drip feeding 600 social signals over 20 days, and ordered a multi-tiered IFTTT network to mimic a community sharing the blog posts that get published on auto-pilot. What the hell is a multi-tiered IFTTT network you might ask? IFTTT stands for “If This, Then That”, it’s a free web-based service that people use to create chains of simple conditional statements, called applets. An applet is triggered by changes that occur within other web services such as Gmail, Facebook, Instagram, or Pinterest. For example, you can create an applet that adds Pinterest posts to your calendar whenever a Pinterest post is published that mentions a specific word (seems useless but there might be a purpose for it). In my case, whenever a blog post is published by one of my writers, the system automatically shares that post across multiple social media profiles, and on top of that, a second layer of social media profiles shares the shares (if that makes sense), mimicking something going viral in a very niche community. It’s pretty cool. 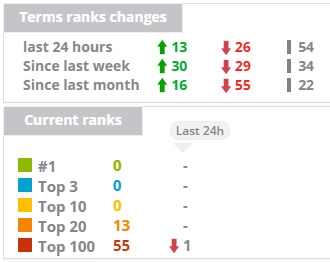 Tracking 93 keywords – Rankings are stable, riding out the sandbox.